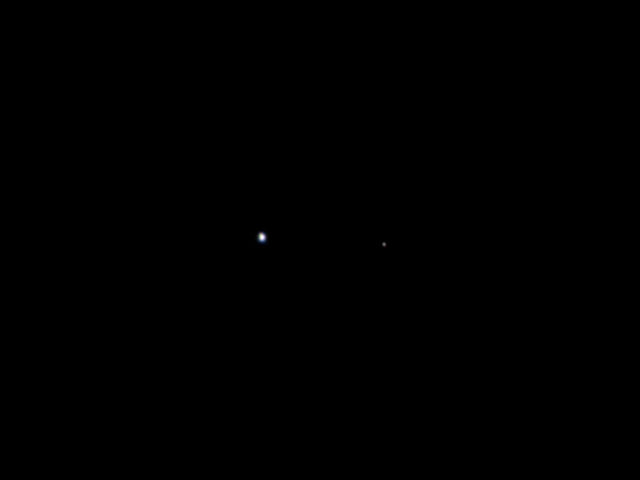 On 26 August, three weeks after it was launched, the Juno spacecraft turned around and took a photo of home. The maneuver was done to test the widefield camera, as part of a general testing procedure to check that all instruments are working properly. At the time the photograph was taken, Juno was almost 10 million kilometers from home and traveling at a speed of 125 thousand kilometers per hour.